Toy designer Ajuma Ataguba has created a crowdfunding campaign on Indiegogo, with a funding goal of $50,000, so that she can launch her ETHNIKOS Collection. ETHNIKOS is a collection of educational and multi-cultural toys that were created with the hope of inspiring children to learn about the world, while giving them a golden educational opportunity. The team hopes to be able to deliver their first shipment of 250,000 toys in January 2015, with three more shipments following every few months throughout the year. A big feature of this project is the "one million toys for one million kids" charity aspect. When asked how she came up this idea, Ataguba states: "I believe the ETHNIKOS Collection is for every child and not just for children whose parents can afford them." For this part of their venture, the company is partnering with several well-known charities. The donations will be channeled through these charities, with 25% of the donations going to children in Nigeria, 25% going to children in other parts of Africa, and 50% going to children around the world. The ETHNIKOS Collection is an assortment of multicultural plush toys, an alphabet book and a book read play app starring characters such as 'Sunnieko the Sunflower'. 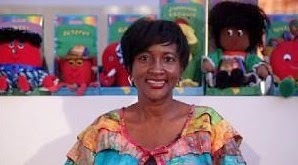 "Each one shares stories about their origins, sing alphabet songs and nursery rhymes and teaches sociological messages. As children read and sing along, they get to learn more about the character beyond the Alphabets." the designer states. The target age range for these toys is ages 1-10. 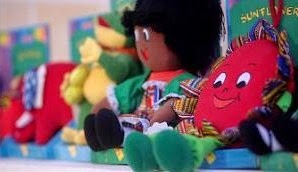 The ETHNIKOS toy collection teaches: literacy, rhymes, geography, diversity, animal facts, and good morals. This collection promises to have a very positive impact in the lives of many children. However, for this to become a reality they are reaching out to the public through their crowdfunding campaign. The campaign started on July 21, 2014 and will close on September 7, 2014. As an added bonus to all of their funders the ETHNIKOS team is offering several perks. These perks, which serve as great funding incentives for supporters, range in value from a thank you, to various merchandise, toy collections, party packs, and much more. Full details about the campaign and ETHNIKOS toy collection can be found on their campaign page.